If you've got the tools, you can do the work. If you don't have the tools, you can't do the work! Don't underestimate the importance of your tool-set! Everyone working with cells now has access to all of the same Cytocentric® tools that were originally designed by top cell scientists, and once used exclusively by them in their pioneering research. The exciting new Cytocentric-by-Design Xvivo System® may be the ultimate cell tool-set, but virtually any cell need can alternatively be met in conventional People-Centric equipment by finding the appropriate Cytocentric® upgrade or Cytocentric® accessory. You can also find a wide selection of unique and advanced tools for therapeutic and disease modeling in animals. We hesitate to call our products "products", because most are not mass produced and shipped out to the faceless masses. Some are even infrequently built. But that doesn't matter. It's not about mass production and sales volume. With Cytocentric cell research equipment, it's about the cells. We are proud to have been "equipping" so many top scientists with new and productive tools over the years. It will be an honor to play a small role equipping you for your future Cyto-Success! Change is the only certainty in science, especially now with such rapid advancements in cell and biomolecular science. Research is seldom a predictable linear path. Everyone has different requirements, and those requirements change over time. All Cytocentric cell research equipment here is modular. Each piece can integrate with any other piece. This allows you to get exactly the tool you need now. More important, as your needs change, this same equipment can evolve over time. It can expand in scale. It can expand in functionality. It can be reconfigured for different projects, or different spaces. It can be redeployed in other directions if your focus changes. You can invest in your tools with confidence. You will never be dead-ended. The New Alternative To Conventional People-Centric... The leading cell scientists are recognizing the importance of meeting the needs of the cells on which their career depends. That's why more and more are switching to the Xvivo System. Go to the CYTOCENTRIC® page to understand why. Learn the criteria behind the design of this powerful new tool for cell incubation and processing. Go to the Xvivo System® page to learn about the equipment itself. 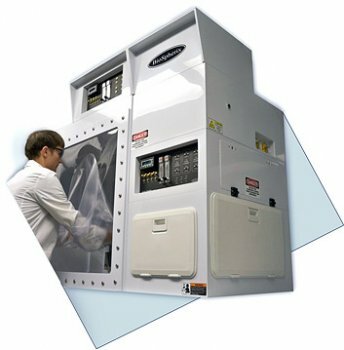 The new concept of integrating high performance incubators into closed hoods that are also incubators, and integrating combining and connecting with any third party equipment, up to and including the entire lab. Drill down into the Xvivo System® page to see how the sum of the parts equals the whole in so many different ways. Application specific configurations can also be examined under Xvivo System®. All conventional cell culture and cell processing equipment that were designed for people can be upgraded with cytocentric retrofits and cytocentric accessories. Go to People-Centric upgrades to learn how to extend the capabilities of conventional Incubators, Hoods, Glove Boxes, Flush Boxes, and Bioreactors. 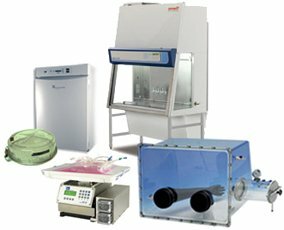 Those of you who may need to complement your in vitro work with in vivo data, or those of you who need certain animal models for therapeutic or disease modeling and pre-clinical data, you may be surprised to discover such a wide selection of such capable equipment. check out the Animal Equipment.